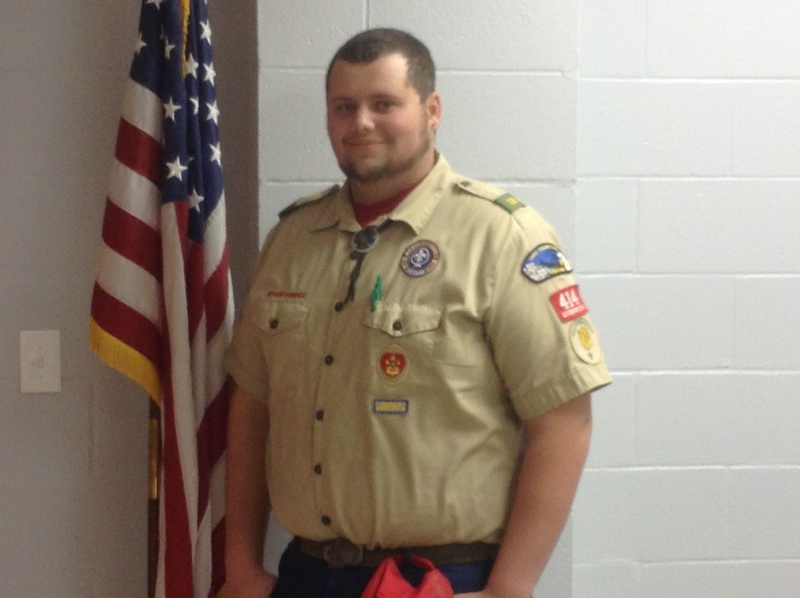 Kennan Monroe’s Eagle Scout project benefited the Economy Volunteer Fire Department. He built 4 benches. He also remodeled the sign at Station One which involved replacing the landscaping timbers alone the ground and filling it with river rock. He painted the sign, and installed a newer lighted sign up. An additional lettered metal sign was added to the location.